In case you were wondering — robots won’t replace anesthesiologists any time soon, regardless of what the Washington Post may have to say. There will definitely be a place for feedback and closed-loop technology applications in sedation and in general anesthesia, but for the foreseeable future we will still need humans. 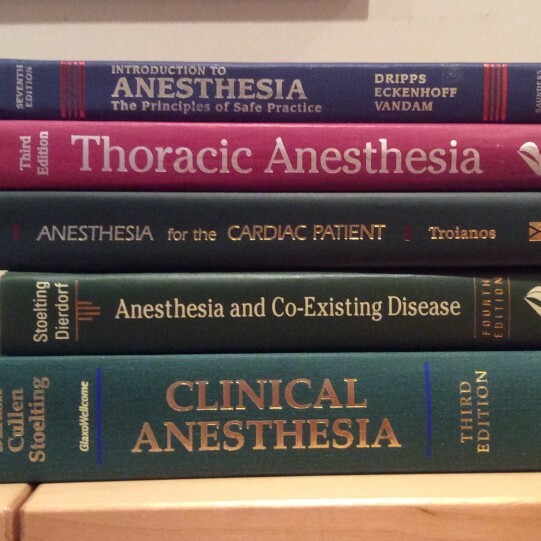 I’ve been practicing anesthesiology for 30 years now, in the operating rooms of major hospitals. Since 1999 I’ve worked at Cedars-Sinai Medical Center, a large tertiary care private hospital in Los Angeles. So what do I think today’s medical students should know about my field? For starters, I have to laugh when I hear anesthesiology mentioned with dermatology and radiology as one of the “lifestyle” professions. Certainly there are outpatient surgery centers where the hours are predictable and there are no nights, weekends, or holidays on duty. The downside? You’re giving sedation for lumps, bumps, and endoscopies a lot of the time, which can be tedious. You may start to lose your skills in line placement, intubation, and emergency management. Occasionally, though, if you work in an outpatient center, you’ll be asked to give anesthesia for inappropriately scheduled cases on patients who are really too high-risk to have surgery there. These patients slip through the cracks and there they are, in your preoperative area. Canceling the case costs everyone money and makes everyone unhappy. Yet if you proceed and something goes wrong, you can’t even get your hands on a unit of blood for transfusion. To me, working in an outpatient center is like working close to a real hospital but not close enough — a mixture of boredom and potential disaster. The path I chose is to focus on high-risk inpatient cases. I especially enjoy thoracic surgery, with the challenges of complex patients and one-lung ventilation. You can bring me the sickest patient in the hospital setting — where I have all the monitoring techniques, resuscitation drugs, blood products, bronchoscopes, and anything else I might need — and I’ll be perfectly happy. The downside: a practice like mine tends to be stressful and tiring, and I never know the exact time that the day will end. Hospitals that offer Level I trauma and high-risk obstetric care are required to have anesthesiologists in house 24 hours a day, 365 days a year. There’s no perfect world. What type of person is happy as an anesthesiologist? Even though women comprised 47% of the US medical school graduates in 2014, only about 33% of the applicants for anesthesiology residency were women. I’d be interested to hear from all of you as to why fields such as pediatrics and ob-gyn tend to be so much more attractive to women, because I genuinely don’t understand it. But I do have a few thoughts as to the type of person who is happy or unhappy as an anesthesiologist. 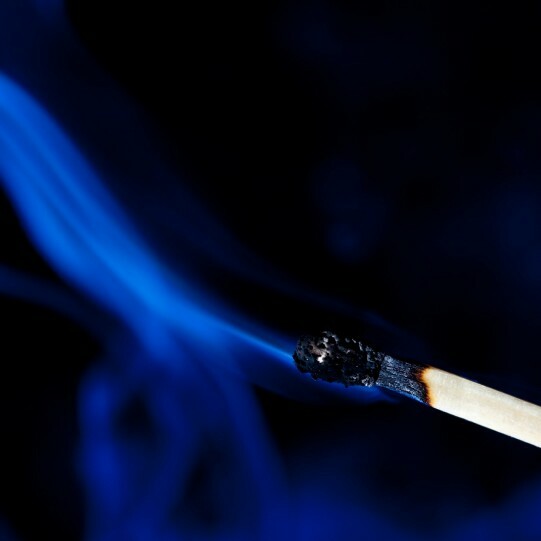 To the literal-minded, burning out is the fate of light bulbs and matches. But whether you read the popular press or medical journals today, you’re likely to find writers who are deeply concerned about “physician burnout”. What defines “physician burnout”, and who exactly is suffering from it? Is burnout an actual clinical syndrome, a slang term connoting fatigue and boredom, or a hazy combination of the two? Which medical specialties have the highest rates of burnout, and are men or women physicians more susceptible? The more you read, the more you realize how much pop psychology and sloppy language are clouding an important issue. A perfect example of murky logic comes to us courtesy of Dr. Danielle Ofri, who wrote a recent piece for Time called “The Epidemic of Disillusioned Doctors”. 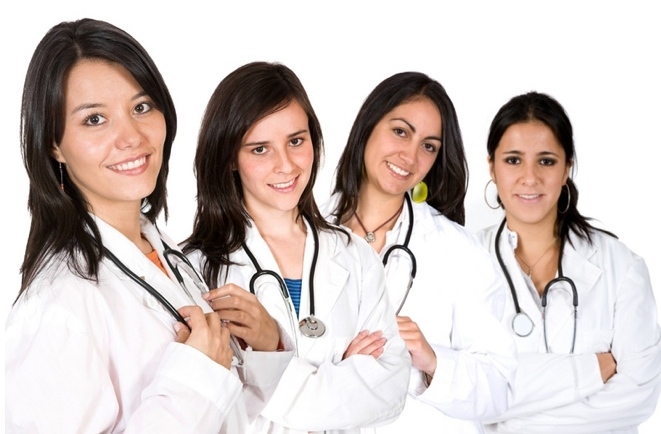 She claims that young women physicians who work in salaried primary care positions are more “resilient” than other doctors, and less likely to become disillusioned about medicine. Now disillusionment and burnout aren’t identical concepts. You can be quite disillusioned about the politics of medicine, and pessimistic about the future of private practice, while you take care of your patients every day with dedication and enthusiasm. Wait a moment. May we see the data to back up this claim? The source that Dr. Ofri refers to is a 2012 publication from The Physicians Foundation, a nonprofit organization that surveyed more than 13,000 physicians. The survey addressed professional satisfaction and morale, among other issues, and reached conclusions rather different from Dr. Ofri’s. I gained a certain notoriety last summer by suggesting in a New York Times op-ed that it isn’t a good thing for growing numbers of physicians to work part time. American-trained physicians have an obligation, it seems to me, to make full use of our professional skills because there is a shortage of doctors and because American taxpayers provide so much of the funds for our training. Now, in a new article in the Atlantic magazine–“Is Medical School a Worthwhile Investment for Women?”–two Yale professors suggest that physicians might as well work full time or more because, if we don’t, medical school is an investment of time and money that doesn’t make financial sense. This article didn’t surprise me at all. It specifically points to the example of American primary care doctors who are less well compensated than specialists. Using a tool called net present value (NPV) calculation, Professors Keith Chen and Judith Chevalier compared the costs of earning a degree against the income earned over the likely course of a career. They compared the NPV of training as a physician assistant (PA) compared to a primary care physician, and also looked at gender differences in anticipated earnings. Their conclusion? “We found that, for over half of woman doctors in our data, the NPV of becoming a primary-care physician was less than the NPV of becoming a physician assistant,” the authors wrote. After reading the Atlantic article, I don’t doubt the reasoning behind it but have other questions to raise. Only a generation ago, in the 1980s, medical students thought about what specialty to choose simply in terms of what interested them most. All doctors made a comfortable income; money wasn’t a primary motivator. There was a sense that cardiac surgeons or neurosurgeons could make more than most other physicians, but in fairness their training was much harder and longer. Internal medicine was held up to us as the most prestigious and intellectually rigorous of the specialties, and was highly attractive to medical students who are a competitive lot at baseline. For kids growing up in the 1960s and 70s, there was also a strong impetus toward doing work that benefited society. We remembered the civil rights era, the rise of feminism, and the start of the Peace Corps. The women who made up the first major wave of female physicians in the United States were determined to prove themselves as deserving of medical school admission as any of the men, by working as hard and achieving as much or more. As a medical student in the 1980s, I considered a number of specialty options. Pulmonary internal medicine and critical care were my favorite rotations. On the other hand, anesthesiology involved critical decision-making in real time, and a great deal of pulmonary physiology (all those ventilators to manage). Besides, anesthesiologists work in the operating room. This can be a good or bad thing, depending on how much you like operating rooms and the company of surgeons. From my point of view it was fine. At the time there was a shortage of American-trained anesthesiologists, urgent enough that the American Society of Anesthesiologists paid me a generous stipend to do an eight-week clerkship in anesthesiology one summer in hopes of recruiting me into the specialty. So when I chose anesthesiology, I had the fun of entering a specialty I enjoyed, and the gratification of working in an underserved field. How times have changed. 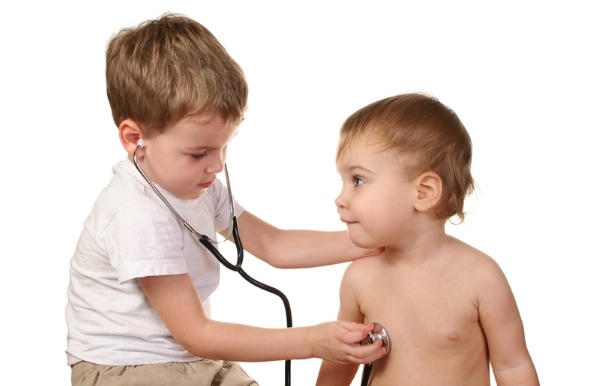 Today the most competitive residency positions are in dermatology and radiology. Less education for tomorrow’s doctors? If Dr. Ezekiel Emanuel gets his wish, tomorrow’s physicians won’t deserve to be paid as well as physicians today because they won’t be as well trained. Dr. Emanuel, a brother of Chicago Mayor Rahm Emanuel and a chief apologist for the Affordable Care Act, is the lead author of a startling opinion column in the March 21 Journal of the American Medical Association. He argues that there is “substantial waste” in the current medical education system, and—in a time when medicine gets more complex every day—advocates cutting the training period for young physicians by no less than 30 percent. Dr. Emanuel’s plan would reduce both the time spent in medical school and in residency training, which (as every physician knows from experience) is the period of three to seven years that a new graduate physician spends learning to practice a specialty. Many people don’t realize that residents already receive less training than they used to, because stringent limits have been set on the amount they are permitted to work. Since the duty hour rules were rewritten in 2003, residents are limited to 80 hours a week in the hospital, which includes overnights on call when they may be asleep (what the rules refer to as “strategic napping”). First-year residents, or interns, as of 2011 aren’t allowed to work more than 16 hours at a stretch. Many senior physicians are concerned that today’s residents aren’t seeing enough patients. Evidence suggests that board examination scores are on the decline in fields from neurosurgery to pediatrics, as reported in the Accreditation Council for Graduate Medical Education (ACGME) Bulletin in 2009. The American Board of Internal Medicine reports that the passing rate for first-time exam takers slipped from 94 percent in 2007 to 87 percent in 2010. Unfortunately there’s no evidence that residents are using their increased off-duty hours to pursue either knowledge or sleep. There’s no proof that patient care has improved, or that medical errors are fewer. Now Dr. Emanuel thinks that even this amount of training is too much.